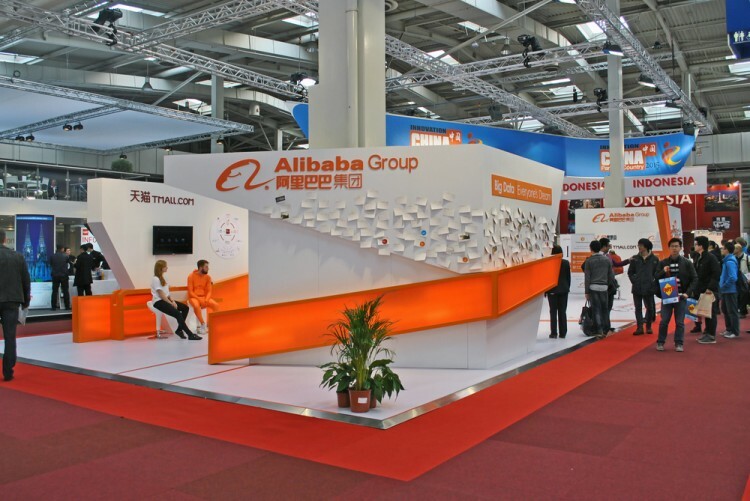 Alibaba Group Holding Ltd (NYSE:BABA) and eBay Inc (NASDAQ:EBAY) are both e-commerce giants with famous brands, strong network effects, and world-class workforces. Both were founded by visionaries. Both also trade at very affordable valuations. Let’s analyze which company is a better buy right now. First a little about ourselves. We at Insider Monkey track smart money activity. From one point of view we can argue that hedge funds are consistently underperforming when it comes to net returns over the last three years, when compared to the S&P 500. But that doesn’t mean that we should completely neglect their activity. There are various reasons behind the low hedge fund returns. Our research indicated that hedge funds’ long positions actually beat the market. In our back-tests covering the 1999-2012 period hedge funds’ top small-cap stocks edged the S&P 500 index by double digits annually. The 15 most popular small-cap stock picks among hedge funds also bested passive index funds by around 53 percentage points over the 36 month period beginning from September 2012 (see more details here). On the hedge fund sentiment side, the hedge funds we track (around 730 investors) like eBay Inc (NASDAQ:EBAY) a bit more than they like Alibaba Group Holding Ltd (NYSE:BABA). A total of 99 funds owned $11.73 billion of eBay’s shares on June 30, versus 85 funds that owned $4.77 billion of Alibaba’s shares. These funds owned 16% of eBay’s float, compared to 2.3% of the float for Alibaba. Moreover, 9.7% of Alibaba’s float is short versus 1.98% for eBay. Ebay’s stock performance has been better than Alibaba’s in 2015. Shares of eBay have returned 19.22% year-to-date versus Alibaba’s stock depreciation of 27.25%. Among other things, ebay’s shares have climbed because the company reported a solid third quarter, in which it earned $0.43 per share on revenues of $2.1 billion, beating estimates by $0.03 per share and $10 million, respectively. Although eBay GMV declined by 2% year-over-year because of the strong dollar, operating expenses declined even further, by 5% year-over-year. Because of the cost cuts, eBay is a cash flow machine with a price to free cash flow ratio of just 9.03. Alibaba, on the other hand, trades at a price to free cash flow of 35.98 because the company is still expanding. Ebay also trades at a lower forward P/E of 14.6 to Alibaba’s forward P/E of 22.66. Alibaba’s stock performance has been terrible year-to-date, mainly because of a weakening Chinese economy. As China becomes wealthier, it has to change its business model from exporting and building infrastructure to consuming and innovating. Transitioning to the latter is a bit hard, and will take some time. The slowing Chinese economy is having a big effect on Alibaba’s GMV growth rate, as the company recently said the metric will ‘be lower in mid-single digits on a percentage basis’. Slower GMV growth means slower EPS growth too. Meanwhile, eBay’s macroeconomic picture is very solid. The U.S. economy is strong, with the unemployment rate just above 5%, while inflation is also tame. A strong U.S. economy means eBay’s GMV won’t contract very much. On the next page, we reveal our pick between Alibaba and eBay.